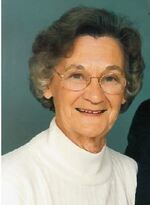 Bertha Brown Harper, age 85, of Franklin, VA, passed away peacefully on Sunday, May 20, 2018. She was preceded in death by her husband of 65 years, Buddy Harper, her parents, Tate Harvey Brown and Thursey Hudgens Brown and a brother, Gordon F. Brown. She is survived by her children Becky Owens (Mark) of Columbus, OH; Janice Harper of Suffolk, VA; Susan Francis (Joey) of Franklin, VA; and Robert Harper, Jr. (Mary) of Broad Run, VA; six grandchildren, Elizabeth Epstein (Ethan), Ashley Moody (Spencer), Grace Francis, Ben Francis, Robbie Harper and Catie Harper, and a great granddaughter, Adara Epstein. Surviving siblings are Paul Brown (Ima), Dorothy Hodges, Merrill Brown, Peggy Allen (Larry) and sisters-in-law, Sylvia Brown and Laura Whitlock. She is also survived by many nieces and nephews. She was a retired bookkeeper and office manager. Her priority in life was being a wife and mother. Bertha was a voracious reader, loved crossword puzzles and enjoyed playing bridge. A graveside service will be held at 11am, Thursday, May 31, 2018 at Crestview Memorial Park with reception immediately following at Kingswood United Methodist Church. In lieu of flowers, donations may be made to the RT Arnold Library, 110 East Danville Street, South Hill, VA, 23970. Online condolences may be placed at www.farrarfuneralhome.net. Farrar Funeral Home of South Hill is serving the Harper family.